ROMAN EMPIRE. 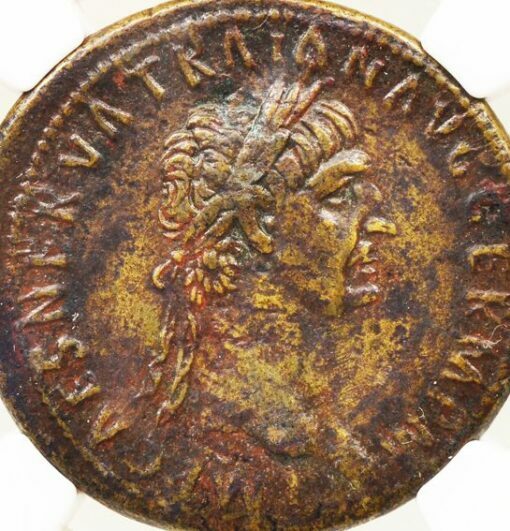 TRAJAN, 98-117 AD. RIC II 390; Woytek 27a; Banti 316. Ex Archer Huntington Collections, HSA / ANS 1001.1.12264. 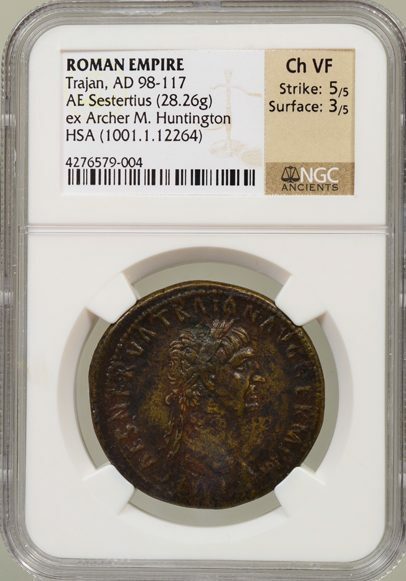 NGC graded CHOICE VF, Strike 5/5, Surface 3/5, NGC # 4276579-004, an emission from Trajan’s first year in power, and a coin with a most prestigious provenance.